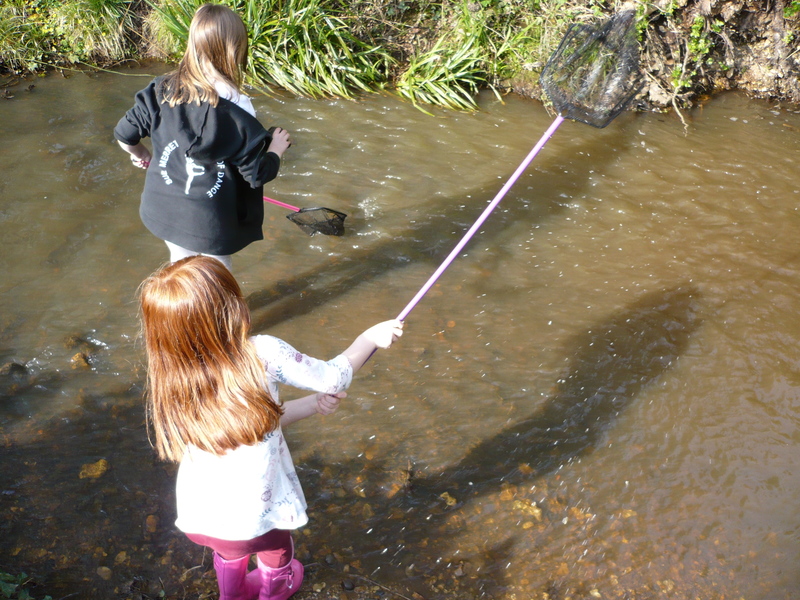 Local youngsters are being invited to find out what lurks in the underwater world of a stream. What sort of fish, creatures and bugs call it home? On Tuesday 26 August 2014 there will be a chance to find out when environmental improvement charity The Conservation Volunteers (TCV) will be running a pond dipping event in Fleming Park’s Monks Brook. It will give people of all ages a chance to find out more about life in the stream that runs through the park on Passfield Avenue. The event, which will run from 1.00pm until 3.00pm, is free to attend and everyone is welcome to turn up, although children need to be accompanied by an adult. Nets, viewing trays and other equipment will be provided and people will be on hand to identify what is found and explain their place in the park’s environment. Anyone interested in going along should call 02380 402 593 or 07740 899540, or email Eastleigh-projects@tcv.org.uk for more information. TCV is working with Eastleigh Borough Council (EBC) and volunteers on a two-year, £38,000 scheme will improve the visitor experience and the park’s wildlife richness. Since the start of work in November last year (2013) the volunteers have met on the first Thursday of every month to help breathe new life into forgotten parts of the park. Their achievements so far include removing invasive laurel from woodland, clearing an overgrown stretch of the brook, and removing invasive Himalayan balsam from its whole length. They have also cleared overgrown bushes and scrub from pathways, planted a stretch of hedge to hide an ugly iron fence and to provide a habitat for wildlife, and built various animal-homes including bug hotels and bird boxes. Future tasks will include installing a nature trail, wildlife-themed interpretation boards and park furniture such as benches and litter bins, maintaining the pond and wetland, improving paths and access, and clearing more laurel and Himalayan balsam. Local people are being encouraged to get involved and come along to the regular conservation sessions in the park. Those who want to find out more can either email eastleigh-projects@tcv.org.uk or call 02380 402 593. Funding for the project is coming from The Veolia Environmental Trust, who have awarded £13,557 through the Landfill Communities Fund, and EBC, who have awarded £7,400. The project is also funded by the National Lottery through the Big Lottery Fund, who have contributed £8,891. Additional contributions have come from grants from Hampshire County Council, the BBC Radio Solent Community Chest, and The Ford Britain Trust. As part of the process of planning the work, EBC held two public consultation exercises, in cooperation with DC Leisure Ltd, before and after the park was opened to the public in 2009. Responses identified walking, cycling and informal parkland as priority uses for the park, with interest also shown in events and picnic facilities. Recently further public consultations were held to see how the park’s open space can be better utilised. Many of those taking part in previous volunteering days at the park have expressed a wish for more regular ongoing projects on the site. Conversations with park users have revealed a similar wish to get more involved.